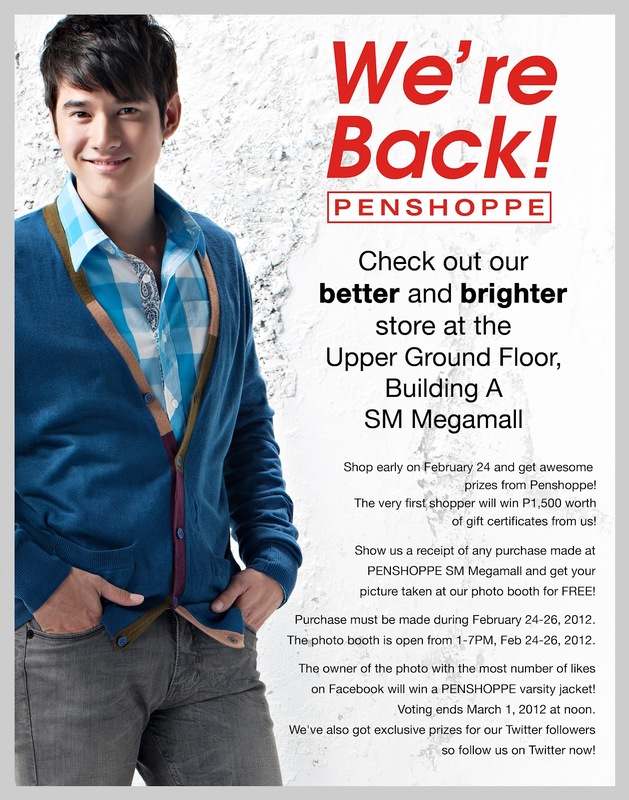 PENSHOPPE SM Megamall is Back! 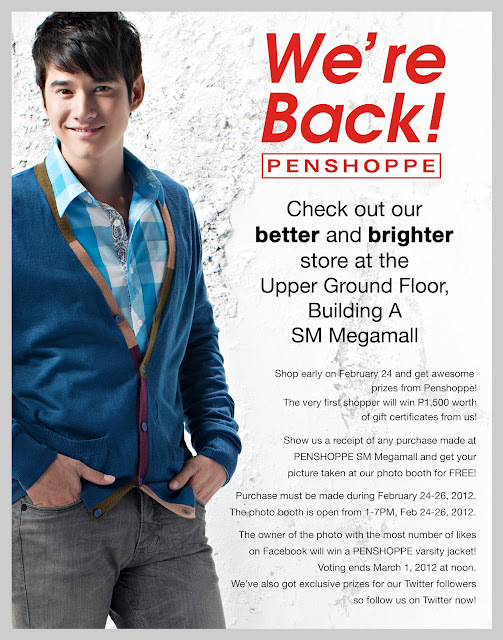 Check out Penshoppe's BETTER & BRIGHTER store at the Upper Ground Floor, Building A. Shop early on February 24 and get awesome prizes from Penshoppe! The very first shopper will win P1,500 worth of Penshoppe gift certificates! The next 9 shoppers will get gift certificates worth P500 each while the next 20 shoppers will get a 10% discount card. Show a receipt of any purchase made at PENSHOPPE SM Megamall and get your picture taken at their photo booth for FREE! Purchase must be made during February 24-26, 2012. The photo booth is open from 1-7PM, Feb 24-26, 2012. 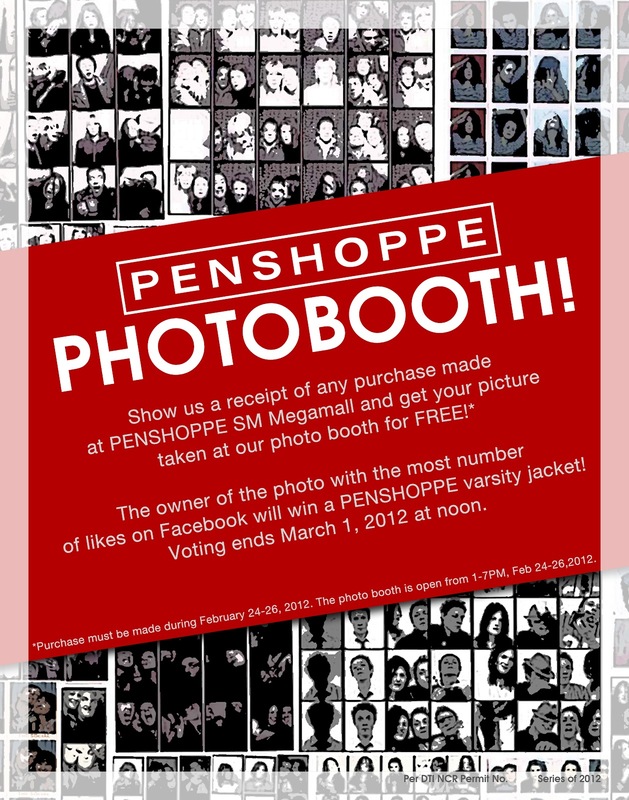 The owner of the photo with the most number of likes on Facebook will win a PENSHOPPE varsity jacket! Voting ends March 1, 2012 at noon. Exclusive prizes for Penshoppe Twitter followers so follow them now!